At first I wasn't going to use this particular image to make my point but in the end, I decided it suited me just fine and, in a strange way, I rather find humor in it. When I left Queen's my future seemed to stretch out before me like a straight road. I thought I could see along it for many a milestone. 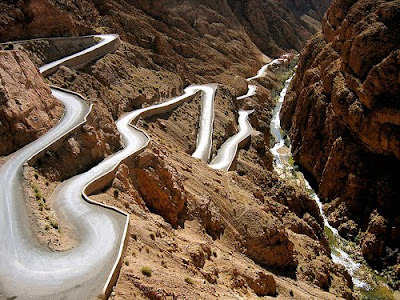 Now there is a bend in it. I don't know what lies around the bend, but I'm going to believe that the best does. It has a fascination of its own, that bend, Marilla. I wonder how the road beyond it goes--what there is of green glory and soft, checkered light and shadows--what new landscapes--what new beauties--what curves and hills and valleys further on." At the end of each year we typically pause to look back (which I did yesterday) and then to look forward (which I'm doing right now). Yesterday I alluded to the fact that I wanted to read (/live) differently this coming year. I don't know about you, but the books I read have direct impact on my life. Priorities have shifted around a bit since starting this great ol' reading blog back in 2006 and in 2010 I want to redirect and refocus my reading energies a bit. To that end, I do want to state that the number of review copies I'll be taking will be dramatically decreased. Last year I had lots of fun reading new titles, and I definitely am still interested in reading around the new. However, I'd like to spend some quality time with the old. I'm not going to try to predict anything, because if I tried to set up a reading system I'd fail miserably. =) I'll just mosey along. But it is my desire to read more classics and spend time purging my bookshelves, by reading, re-reading, tossing, sanctifying, etc., etc., etc. I have owned and half read one particular series that I want to go through this coming year . . . I THINK there are 9 in the series. I have five of them and shall have to collect the rest as I go along. But I plan to spread those out throughout the year. One of them is about the life of Jesus. 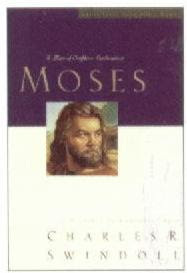 My plan is to spend January - August reading every book in this series EXCEPT the one about Jesus. September & October I would like to spend re-reading another book on my shelf, that I love dearly, Gleanings in Joshua by A.W. Pink. I would also like to read Gleanings in Genesis, also by Pink. Then in the months of November and December, I would like to spend time with Swindoll's book on Jesus. 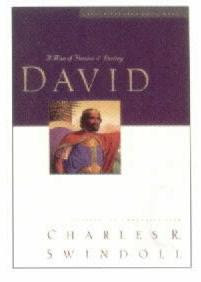 Another book I intend to revisit in 2010 is Choosing Gratitude (click on the title to read the review). 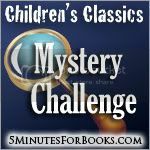 Beyond those things, I'm rather anxious to re-read some of my favorite Children's Classic Mystery books in conjunction with the challenge we're hosting over at 5 Minutes for Books. Will you join in? It's so easy. You can read as many (or as few) of your old friends (i.e., Nancy Drew, Trixie Belden, Dana Girls, Cherry Ames, Encyclopedia Brown, Boxcar Children, etc., etc.) as you wish! Introduce and involve your kids! We'd love it if you did and shared about the experience. I can't wait until my kids are old enough to share in these old favorites but in the meantime, I'm re-browsing them myself and intend to fully enjoy this journey! Naturally, the year will be started by kicking off the Lucy Maud Montgomery Reading Challenge. At the present moment, I'm inclined to read Anne and enjoy her again. We'll see what I actually end up doing, but that's the company I'm presently longing for. Last year I spent most of my challenge time learning about Montgomery herself. This year I'm anxious to be entertained more than anything else. In July I also intend to revisit Narnia with the Chronicles of Narnia Reading Challenge (and I'm so anxious to do it, too!). Those are my general plans and in between I'll sprinkle in books that (I hope) I think are really worth spending the reading time on. Reading is still a joy and a passion and I want to keep it so. I want Reading to Know to be a reflection of who I am and where I'm at in life. I want it to be honest and true. So I'll do a bit of purging and rethinking and see where it takes me. No predictions. Just hopes! I enjoy hearing Swindoll on the radio -- I catch part of his program usually while preparing for or cleaning up after dinner. But I've never read his books. I don't have any specific reading plans yet besides just working my way through the new books I've accumulated through the year. I like this, Carrie. I don't read as voraciously as you, but I, too, have learned that it does no good for me to set up any hard and fast plans. 1. That is a good series ... 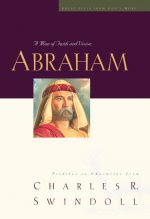 I've read the Esther book years ago and loved it! 2. Can wait for Anne this year! I bought my niece the 8 volume set for Christmas and she is going to read book 1 for school (homeschool) so I will probably read that along with her. Thinking of revisting Emily, too. 3. So excited about the Mystery challenge, too. :) I'm thinking I will be rereading my Nancy Drews and I just scored a hardback Boxcar Children that I want to read with N1! 4. I am right there with you on receiving review copies and cutting back on them. Way too much Christian fiction last year and not enough back-to-the-basics reading. Totally burnt out on any Christian chick lit for the time being. Excited to see where you are going in 2010!